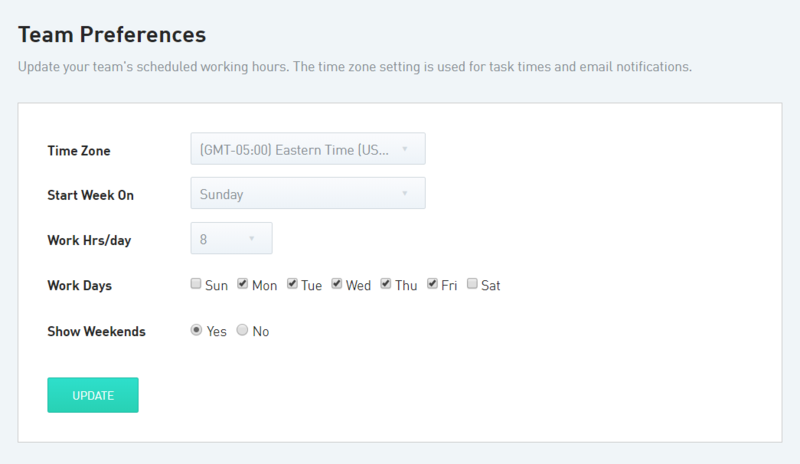 The Account Owner and Admins can adjust the default work hours per day and work days per week from the Work Time tab in Account Settings. Unchecking a work day and selecting Update will delete all scheduled tasks on that day. This action cannot be undone.